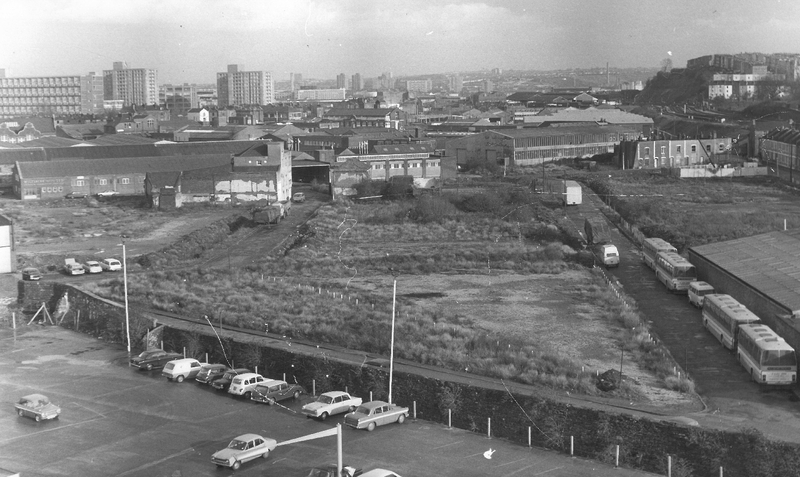 Before the coming of the railways, much of this area was farmland. 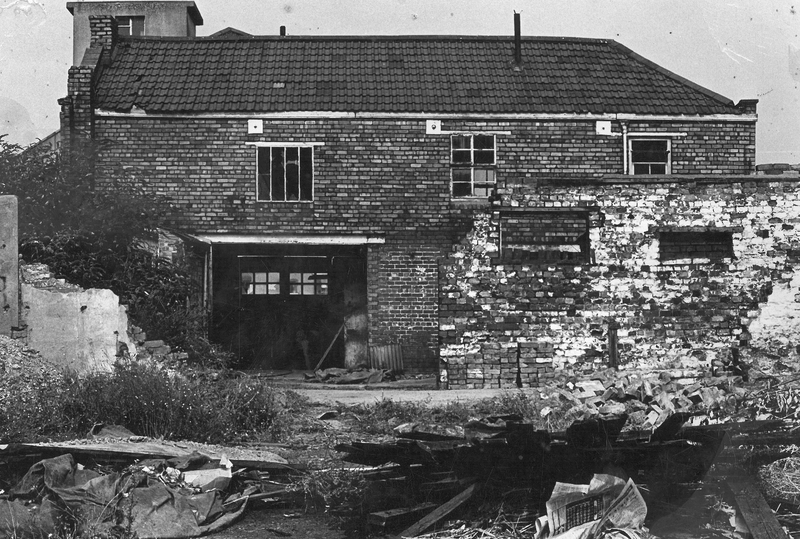 With the Industrial Revolution a thriving community developed around the new factories with workshops, beer houses, shops and market sellers in the streets where the Farm now stands. 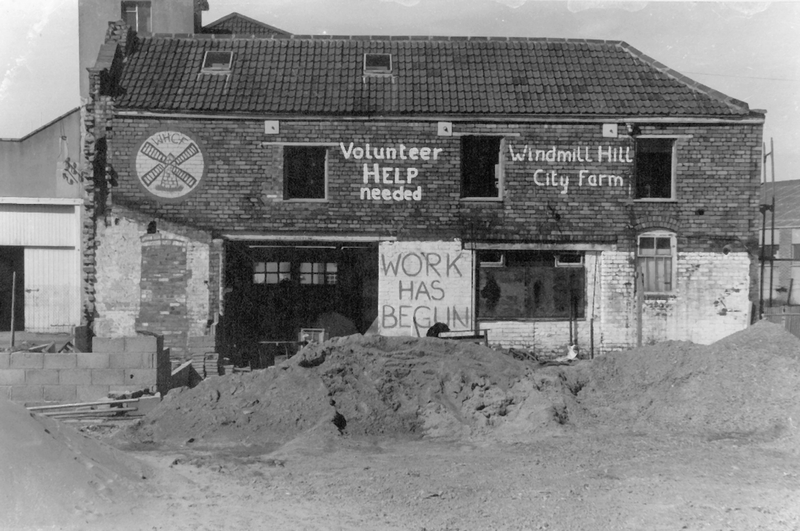 During World War Two (1939-45), Bedminster and in particular Windmill Hill were bombed and the area subsequently underwent a period of steady urban decay. 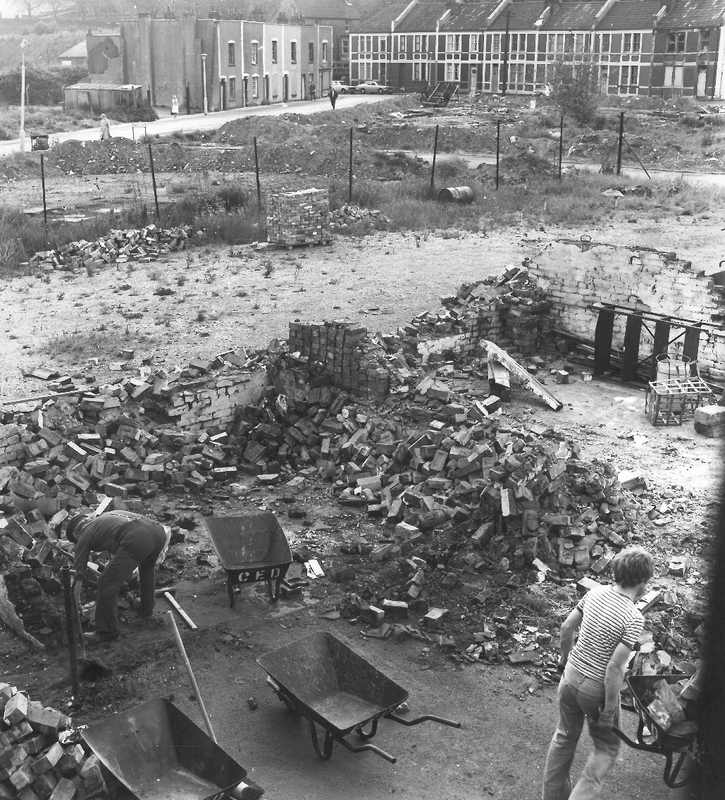 Many houses and shops were demolished, land was left derelict, and communities disappeared with residents born in the area were forced to move away. 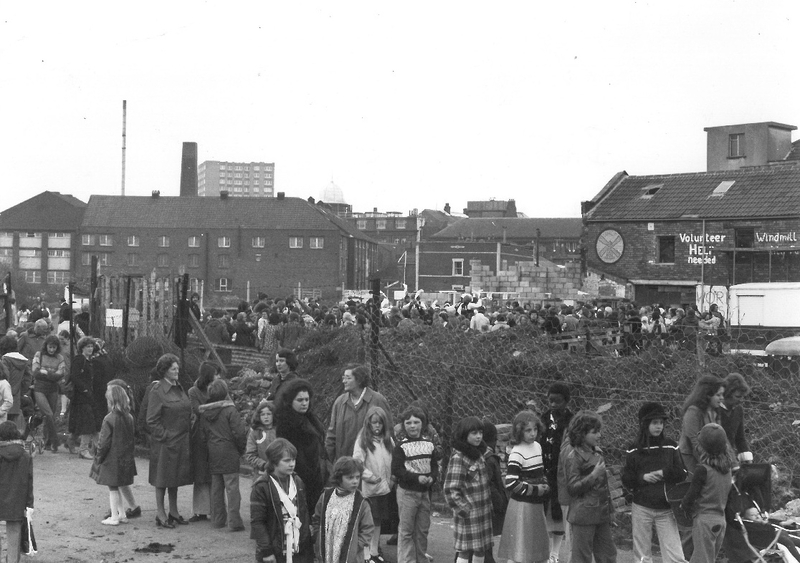 In early 1976, local people met to discuss the clearance of the derelict area at the bottom of Windmill Hill; they wanted to see this site being used for the benefit of the whole community. 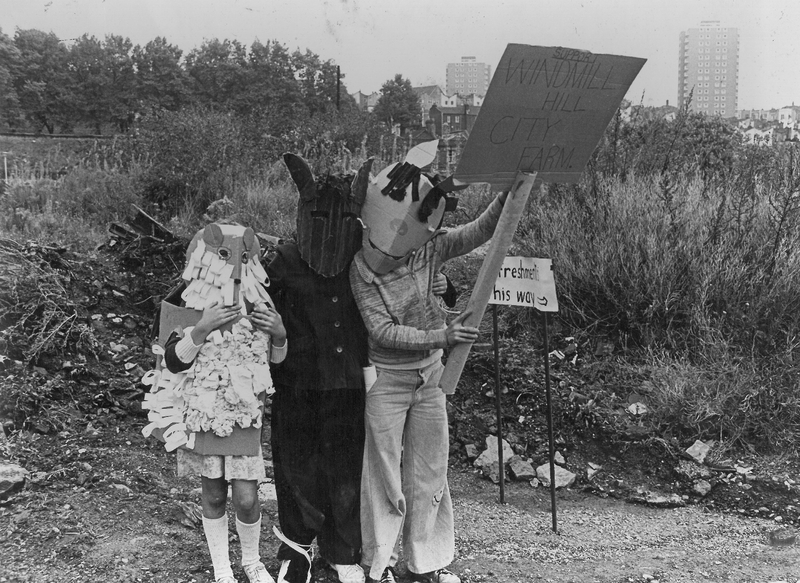 Bristol City Council held a public meeting where local residents known as the ‘Dustbin Group’ initiated the idea of a Farm for the whole community to enjoy. 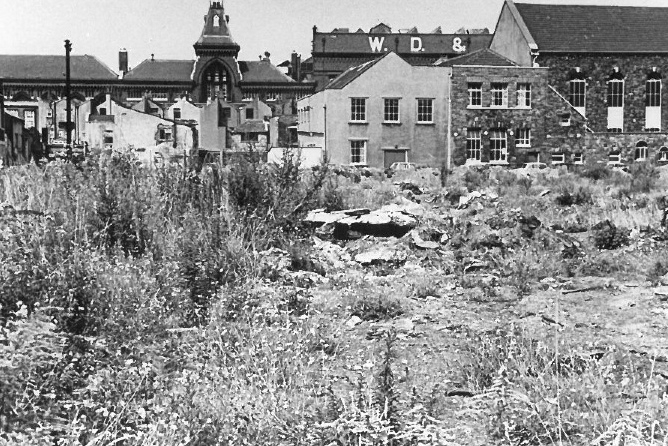 The Council wanted this site to be developed as a high security lorry park but local residents were concerned about the deterioration of the local environment and wanted something different. 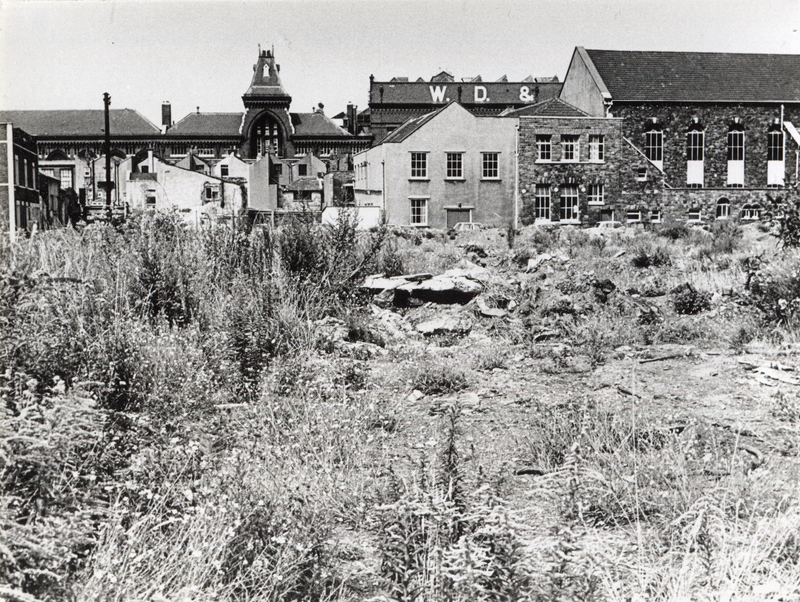 After months of lobbying, they persuaded the Council to let them organise a two day event on the derelict land. They wanted to gauge public interest in a working farm as an alternative. 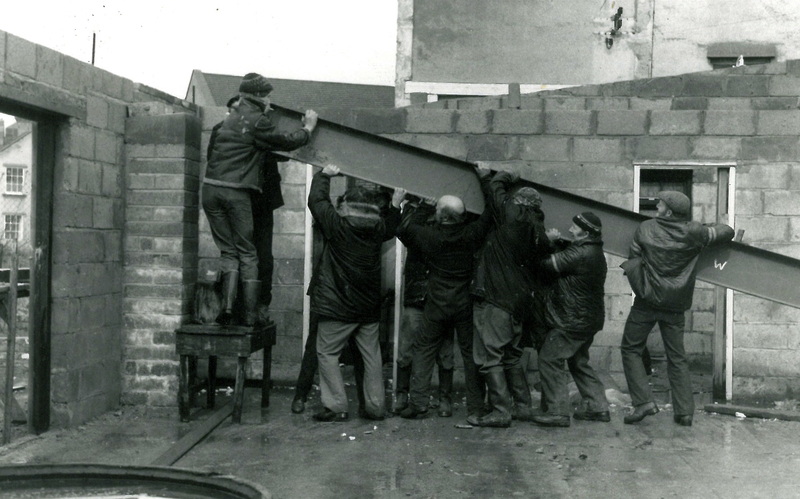 Volunteers and local residents worked hard to prove that the long tradition of community spirit in the area had not been lost. 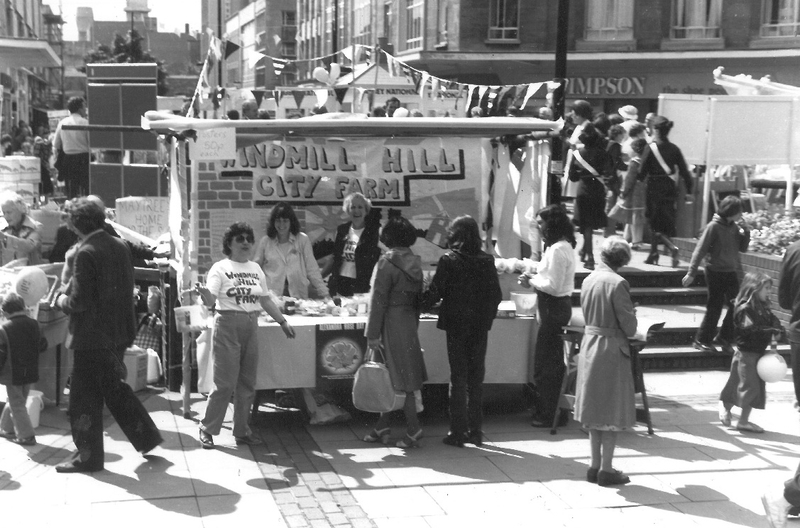 Over 1500 people took part in the Farm’s ‘taster’ event in September 1976 and impressed the Council – Windmill Hill City Farm was on its way! Plans were drawn up to create community based facilities that would involve all age groups on the same site. Suggestions included a Farmyard, a workshop, play centre, gardens, transport and even a Windmill! 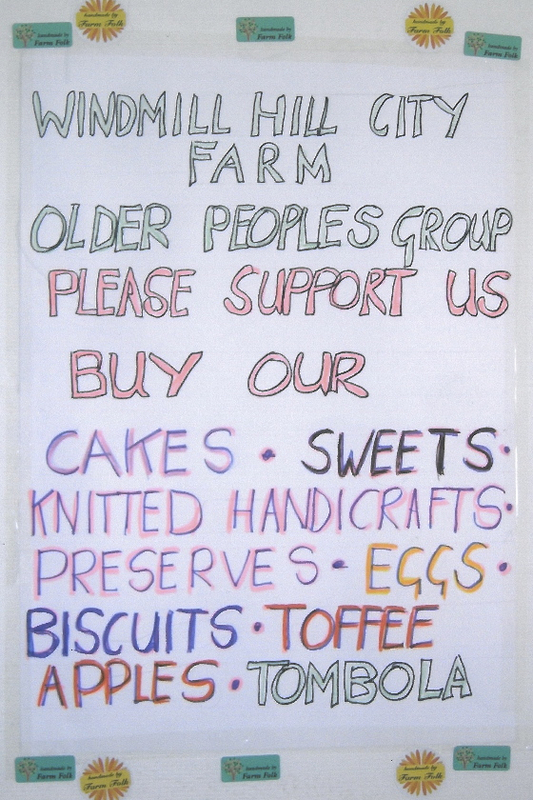 A management committee registered the Farm as a charity and funds were donated from local companies and charitable trusts. 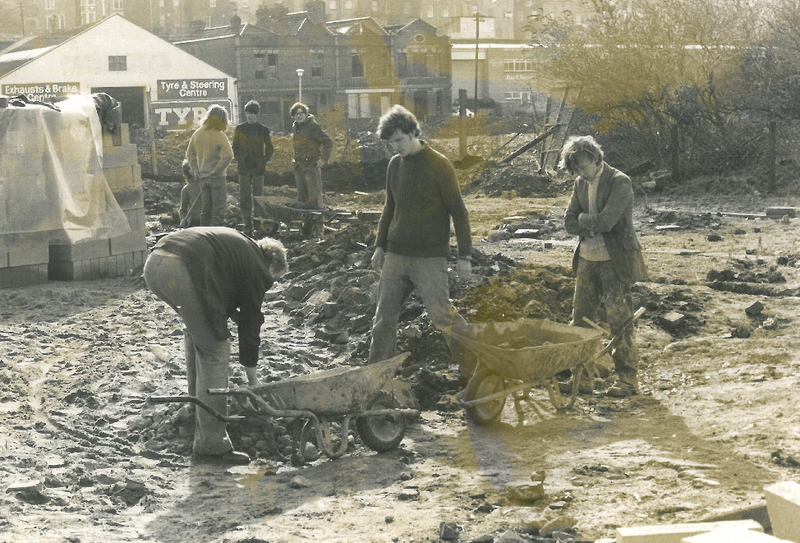 People got involved in active fundraising, organising events and raising awareness and recycled or unwanted materials were collected for use in developing the site. 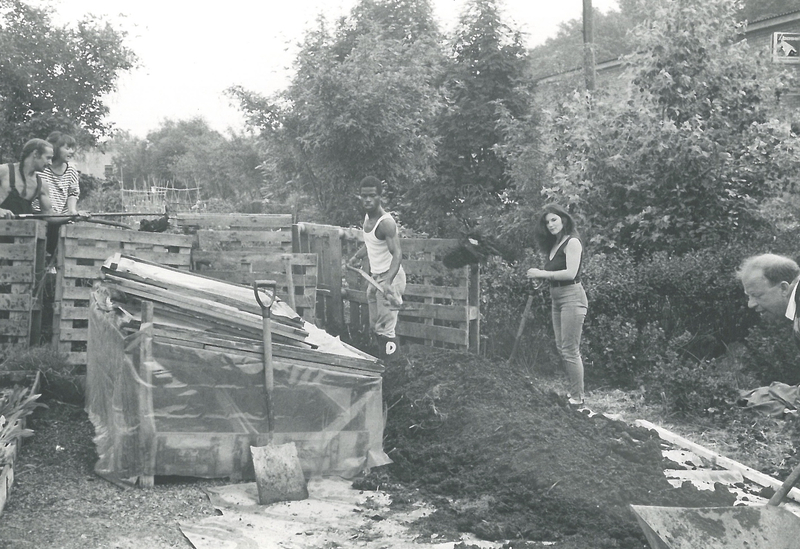 In 1977-8 a team of volunteers put in many hours of hard labour in order to clear the site and establish a farmyard and basic facilities. 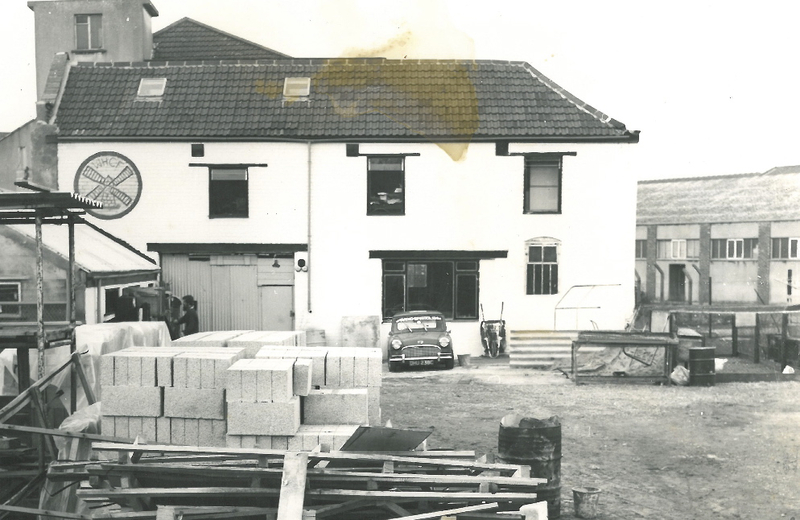 They renovated a derelict building on the site to provide a workshop (now occupied by the Farm shop) and a first floor meeting room. 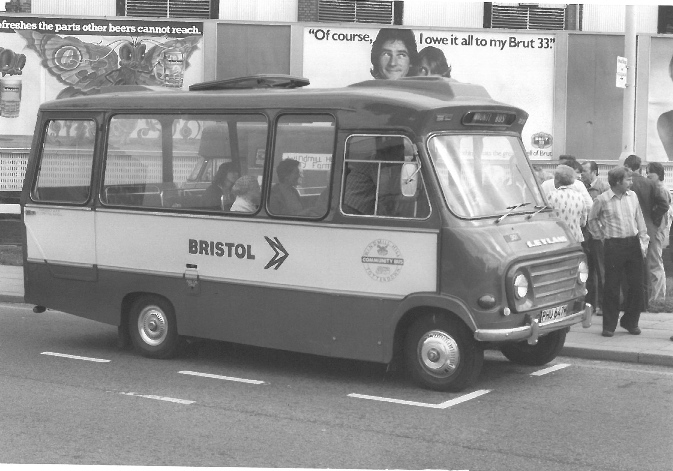 The first summer holiday play scheme for local children began to run in 1977 and a community bus service was established in partnership with the local authority and a Bristol-based bus company. This initiative was set up in response to local residents who had been told that it was not possible to provide a bus service on the steep and narrow streets of Windmill Hill. 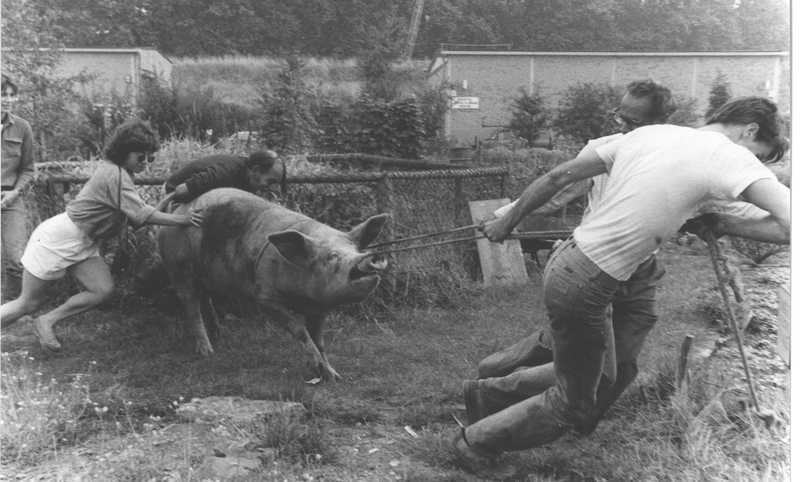 By 1979, a small working farmyard had been set up. 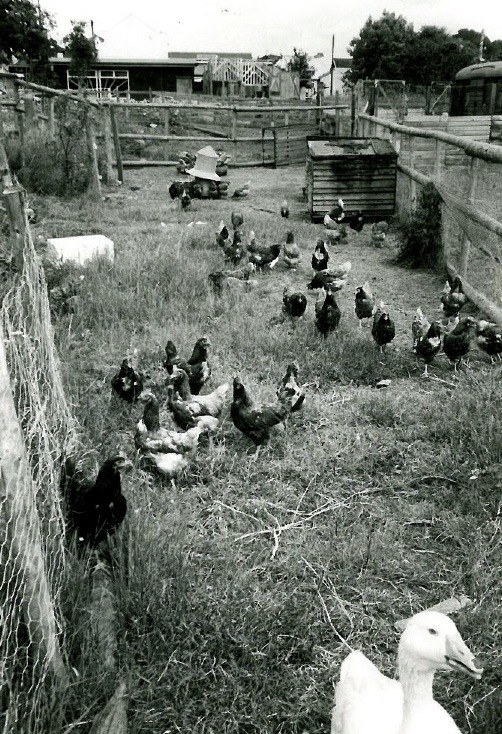 The Farm’s original pony and donkey, Willum and Eyeore, took up residence along with rabbits, ducks and chickens. 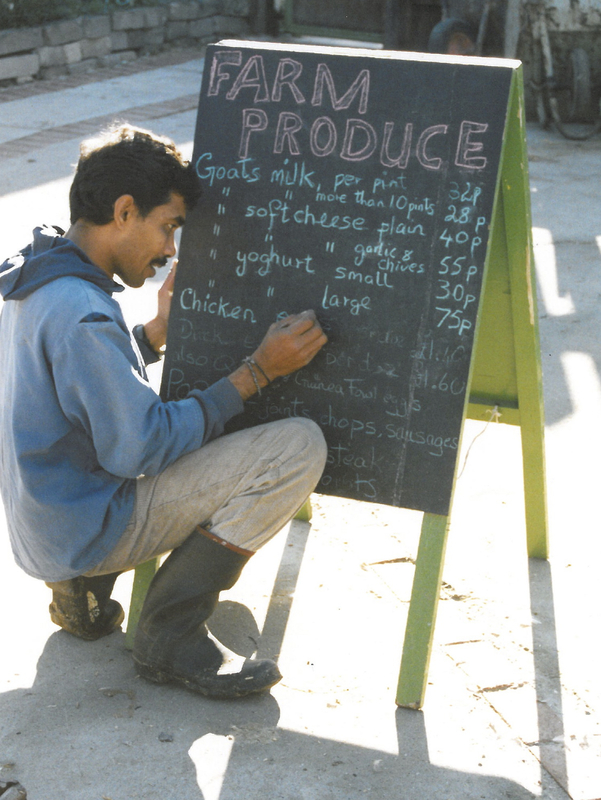 An Urban Aid grant enabled the Farm to employ a full time farmer, a workshop organiser and an administrator. Most of the other work on the Farm was done by people on job creation schemes such as YTS (Youth Training Scheme) and YOP (Youth Opportunities Programme). Volunteers continued working hard to develop the site. 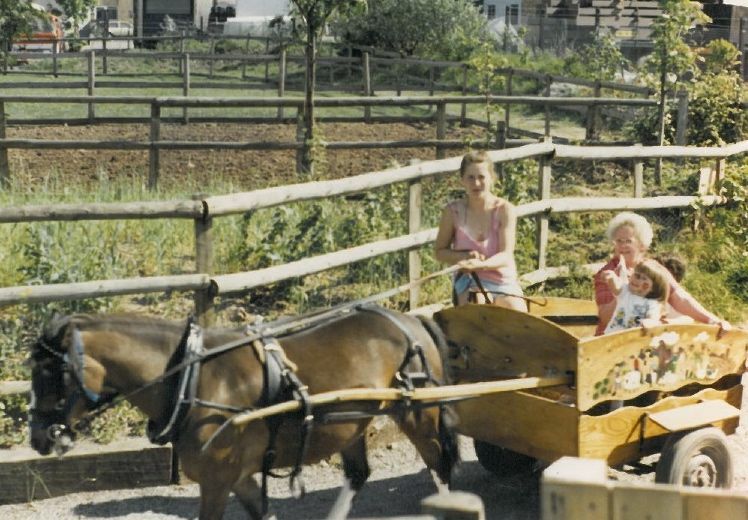 Children and young people have always been at the heart of the Farm and from its earliest days it provided a range of inclusive activities and facilities for all ages and abilities. 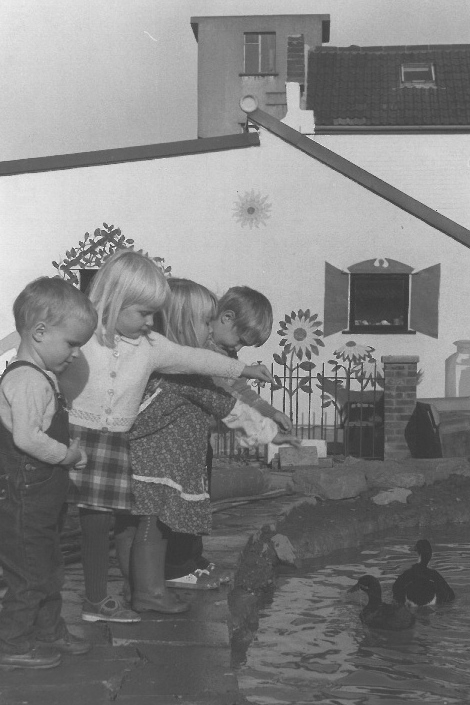 As soon as the Farm opened, local people responded to a lack of facilities in the area by renovating the upper floor of the main building and running a drop in play scheme and creche. 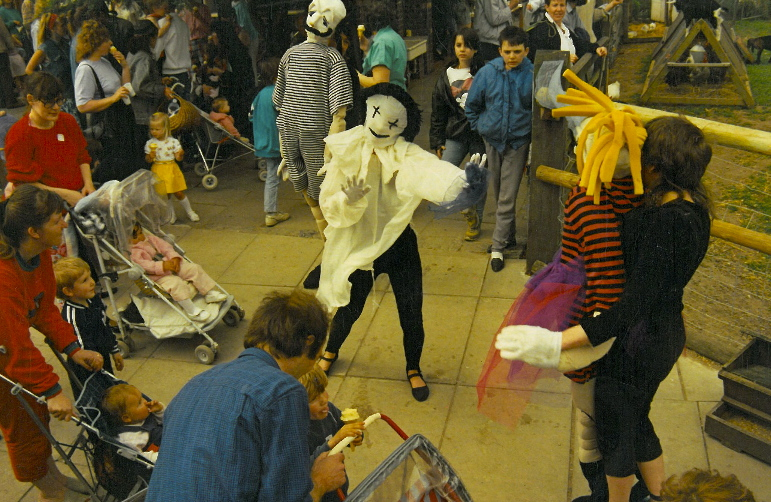 A range of children’s activities and clubs took place there until the building of a purpose built play centre in 1980. 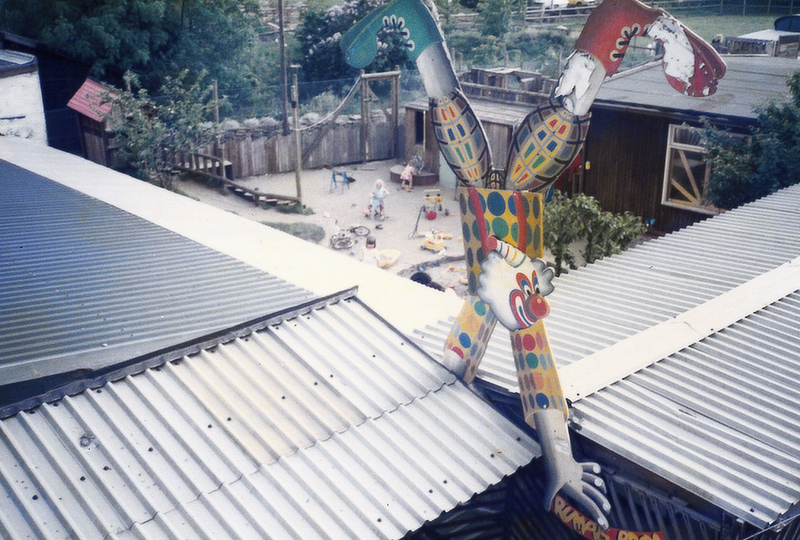 The Rumpus Room, a ‘foam filled haven’, was built and equipped in 1983 thanks to the generous support of local businesses and individuals and along with the Adventure Playground which opened in 1984, proved very popular attractions. 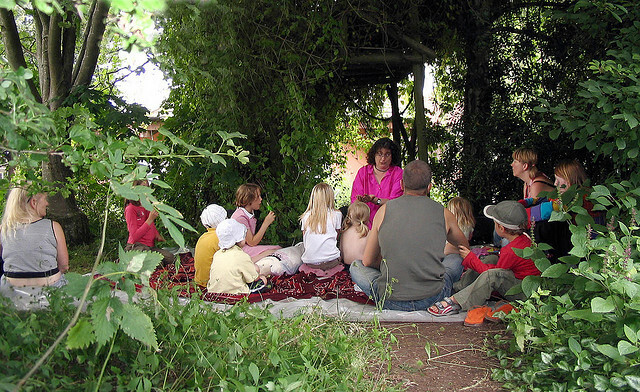 Together with the outdoor adventure area, garden and sandpit, the Farm provided a safe and creative place for young children, as well as a social meeting place for their parents and carers. 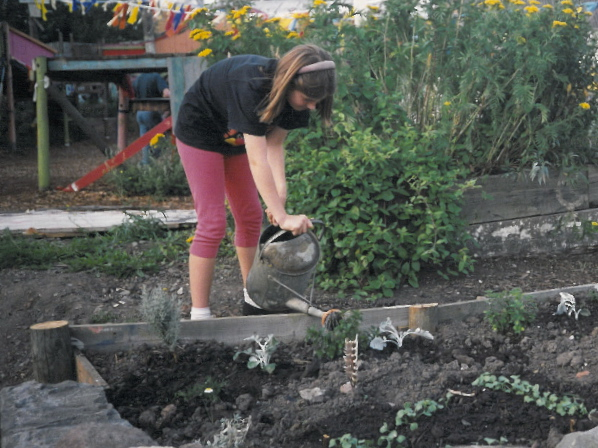 Many of the Farm’s groups and play schemes were linked with the Farm and the natural environment – a reflection of an awareness of the importance of linking children’s play to the creation of a sustainable world. Young people could develop their own space using a wide range of materials and plenty of ingenuity! 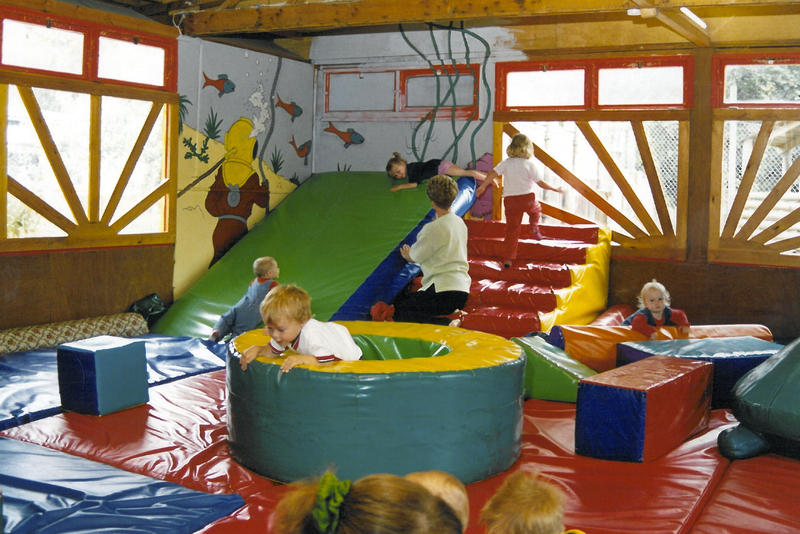 With the help of a team of experienced play workers and volunteers, they shaped and enjoyed a stimulating and challenging environment for imaginative, social, creative and physical play. 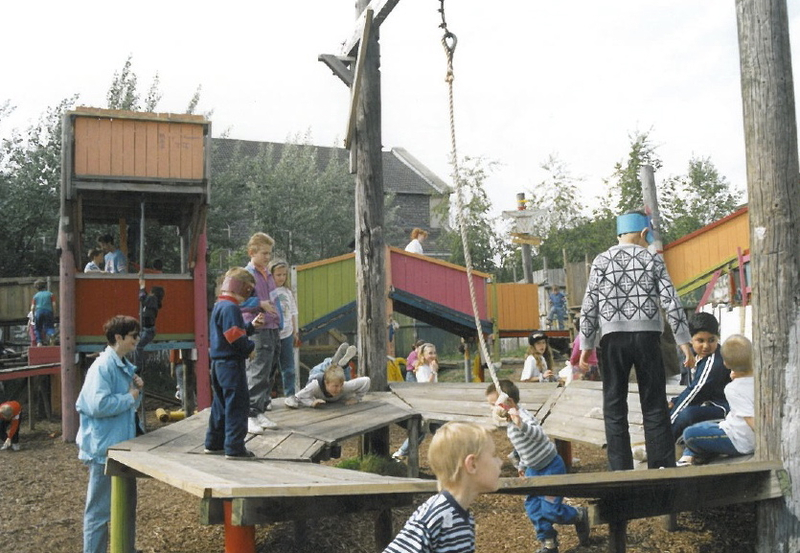 Open after school, at weekends and throughout the summer holidays, the playground was an open access facility. Hundreds of local children could choose when to come and how long to stay, appealing to young people who might reject more traditional clubs. 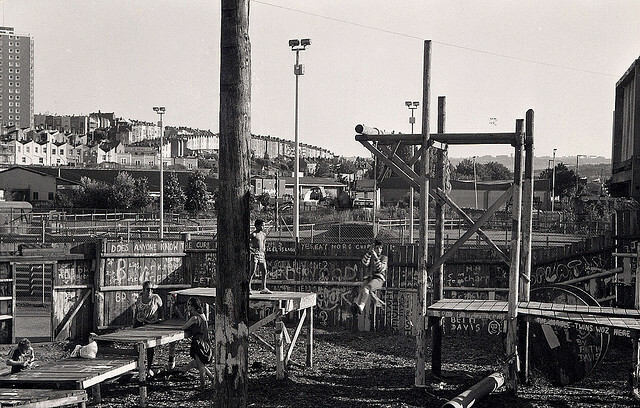 An all weather sports pitch (1985) helped further encourage sports and play for all ages and after years of enduring cold and wet winter weather, the indoor activity centre (1995) enabled children and young people to meet in a warm and welcoming place and to enjoy activities such as cooking, arts and crafts, drama and indoor games. 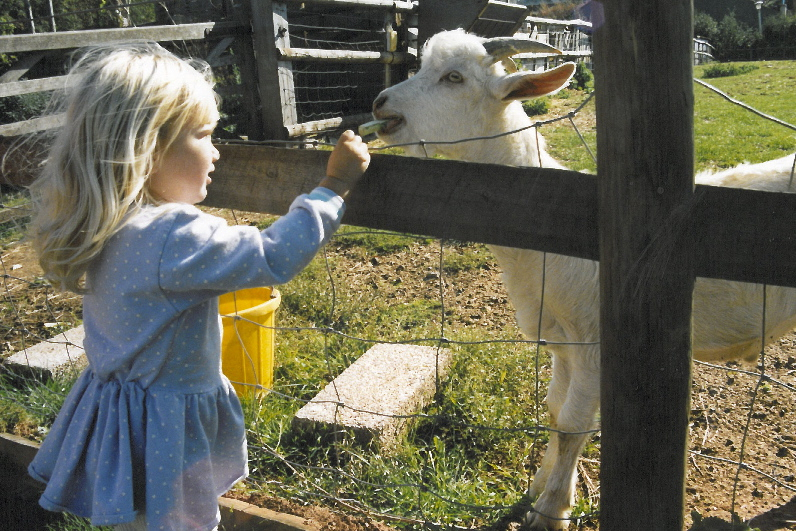 Visiting the animals has always been the Farm’s major attraction and over the years the four and a half acre site has been home to a variety of goats, sheep, pigs, cattle, rabbits, and poultry including many rare breeds. 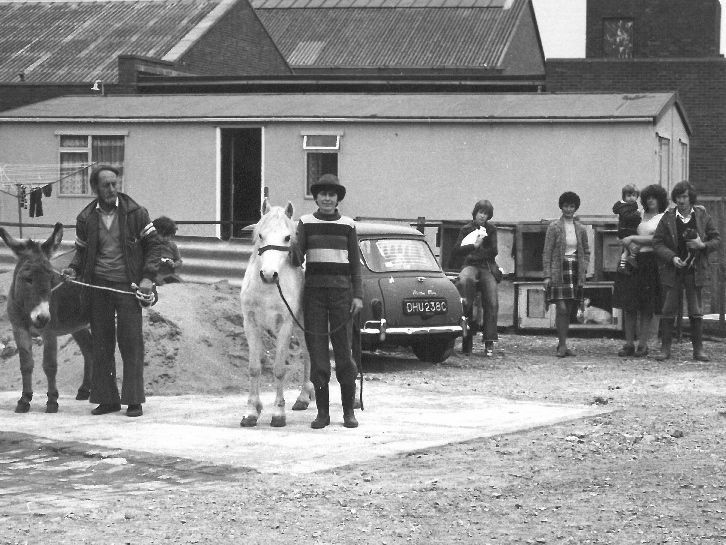 By 1979 the farmyard had been set up and animal housing constructed by workers on job creation schemes and volunteers. The paddocks and barns have been home to many animals over the years with many becoming well known and much loved characters. Notable personalities include Jeremy the cow and Concorde the pig and the geese who have now been resident at the Farm for over 17 years. Who could forget Dolly the pony? 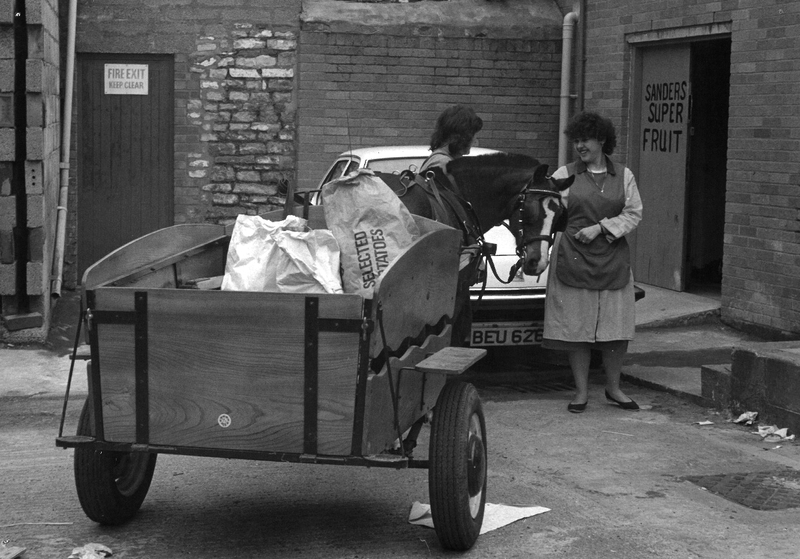 Along with her cart, she roamed the streets of Bedminster collecting waste from local shops and businesses to feed the other animals in the 1980s. 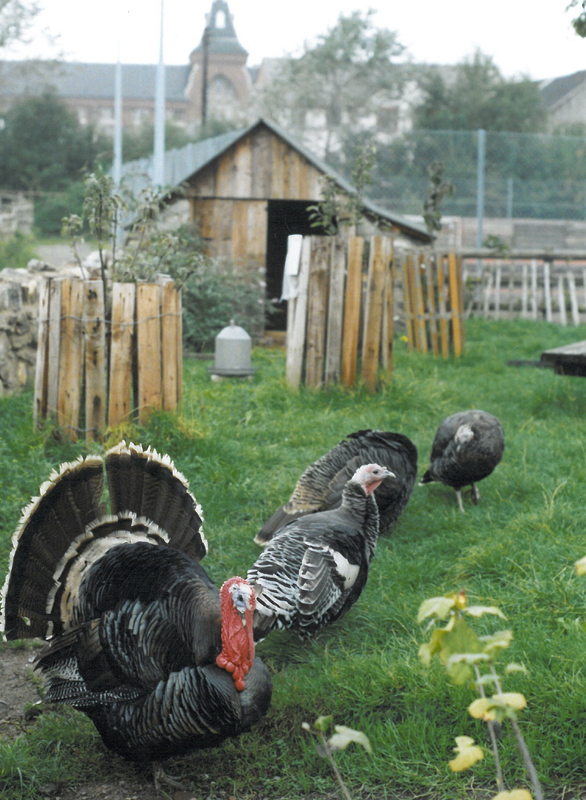 Volunteers and training placements have always played at vital role in looking after the animals and in the running of the farmyard, helping out with anything and everything from mucking out and collecting eggs, to mending fences, shearing sheep and running farmyard activities for children. Local people have had the opportunity to learn both formally and informally about farming methods and how to care for livestock. 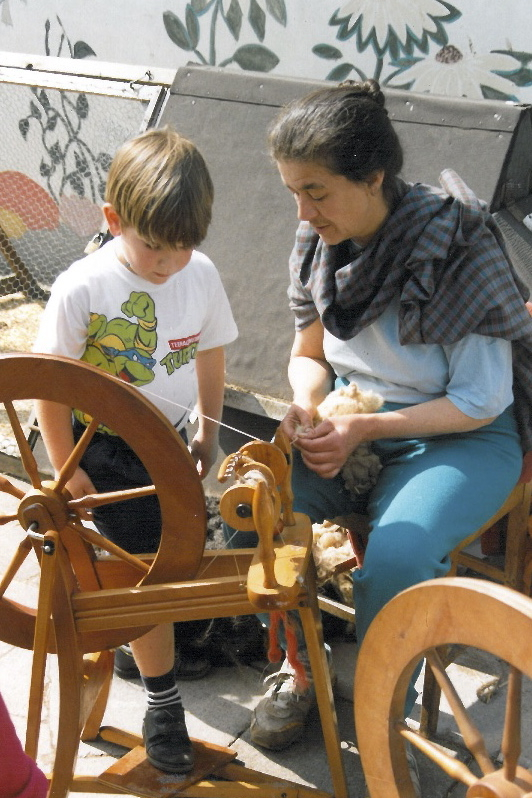 Over many years school projects, practical workshops and educational demonstrations were held to introduce people to how a farm works. 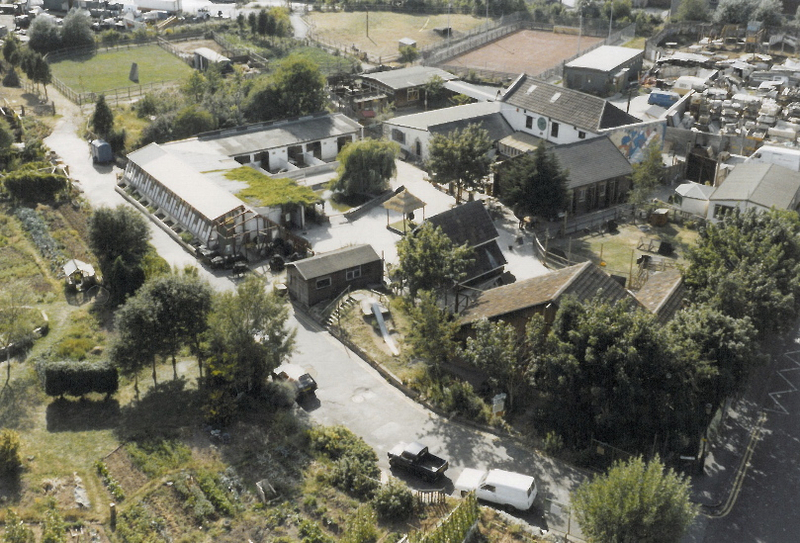 During the 1980s, the working farm was the focal point for a tremendous range of actives and facilities. 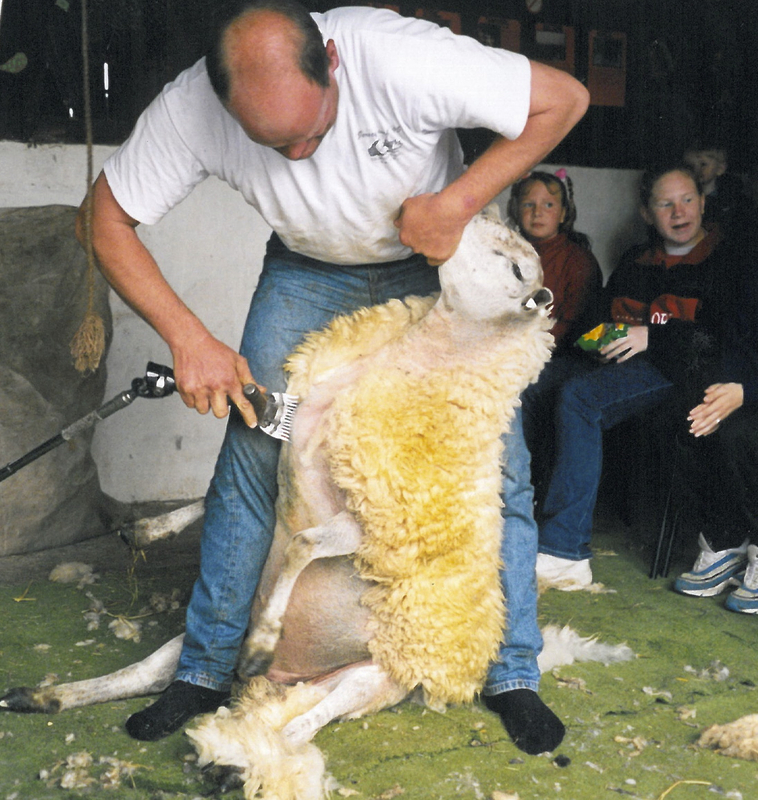 It provided an opportunity for all sections of the community to get involved with working livestock as well as reaping the benefits of naturally reared local produce. 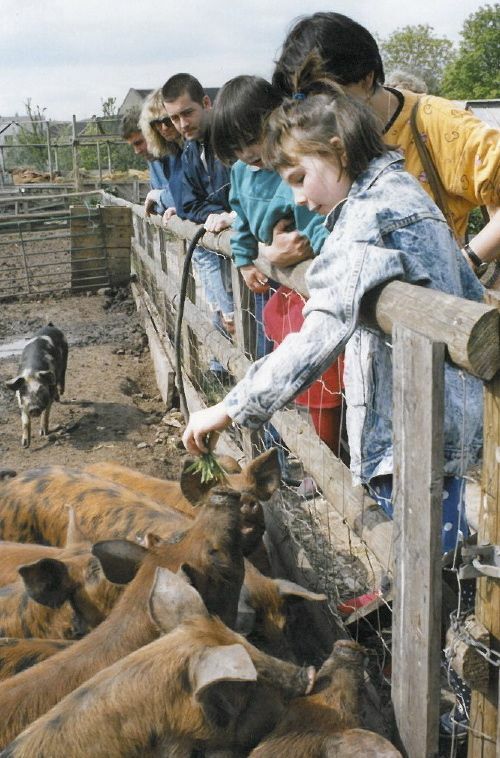 As well as visiting the animals, children were encouraged to understand the processes involved in food production, where their food came from and how to rear animals with respect. 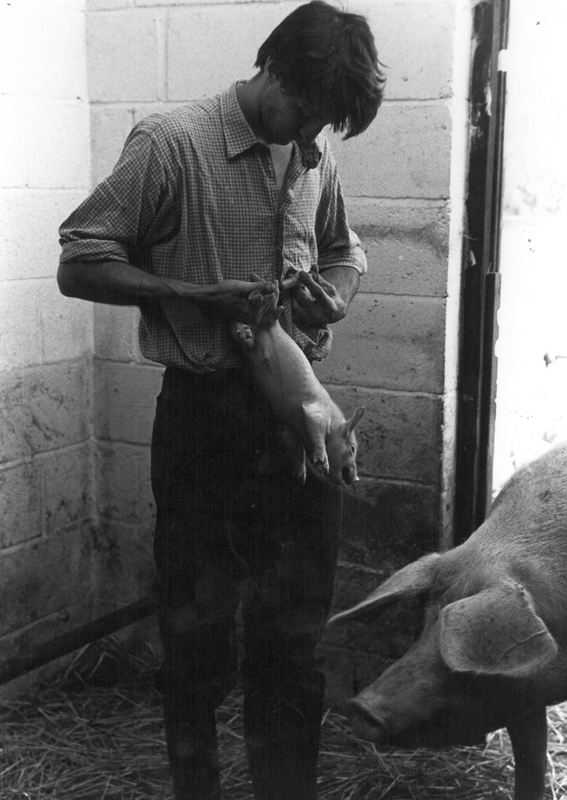 As a working farm, producing and selling animal products also raised much needed income for the Farm’s financial survival. 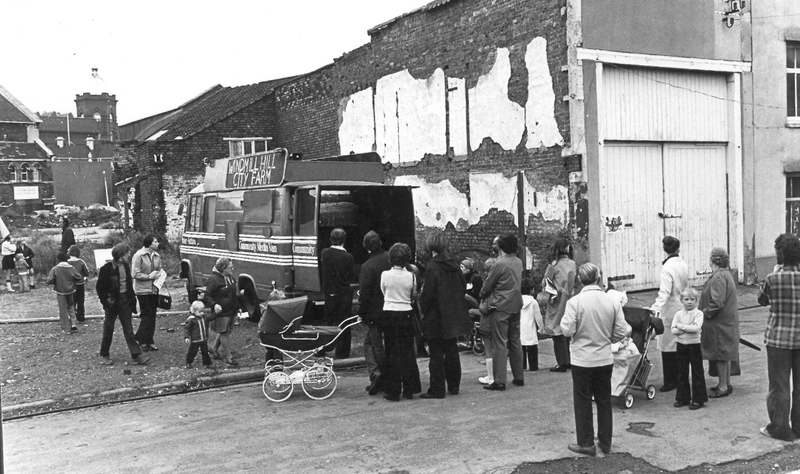 The Farm had a separate dairy and butchery space providing local people with the opportunity to buy meat, eggs and dairy products from naturally reared, healthy and stress free livestock. Goats provided milk, yoghurt and cheese; eggs came from chickens, as well as geese and ducks. A selection of meat including pork, lamb, mutton, rabbit and even guinea pig was available seasonally. Many of you even remember butchering your own Christmas turkeys here! 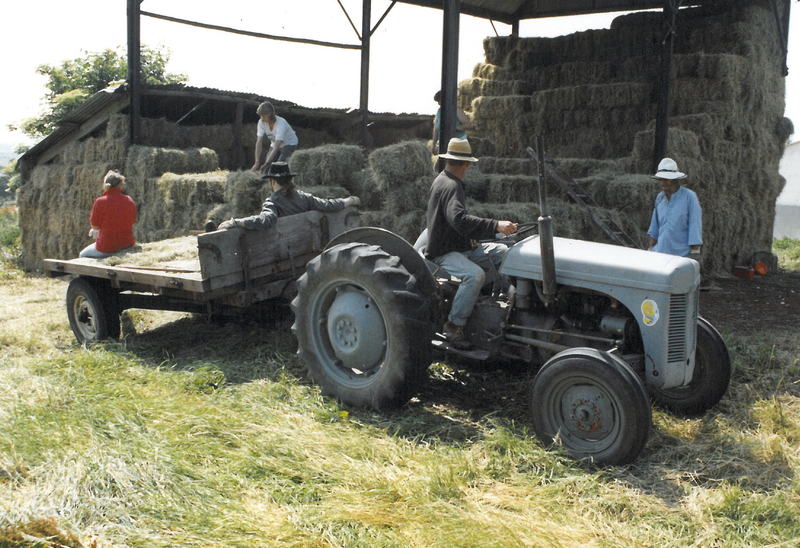 In 1991 private donations allowed the Farm to acquire a sister project, Ash Grove Farm, which was situated 25 miles from Bristol near Wedmore. This 43 acre site worked in cooperation with Windmill Hill to offer even more hands-on opportunities to learn from a rural working farm and groups of children, volunteers and trainees regularly visited the site. Health and social care has always been an important aspect of the Farm and today we have many supported volunteers who regularly come to work on the Farm. 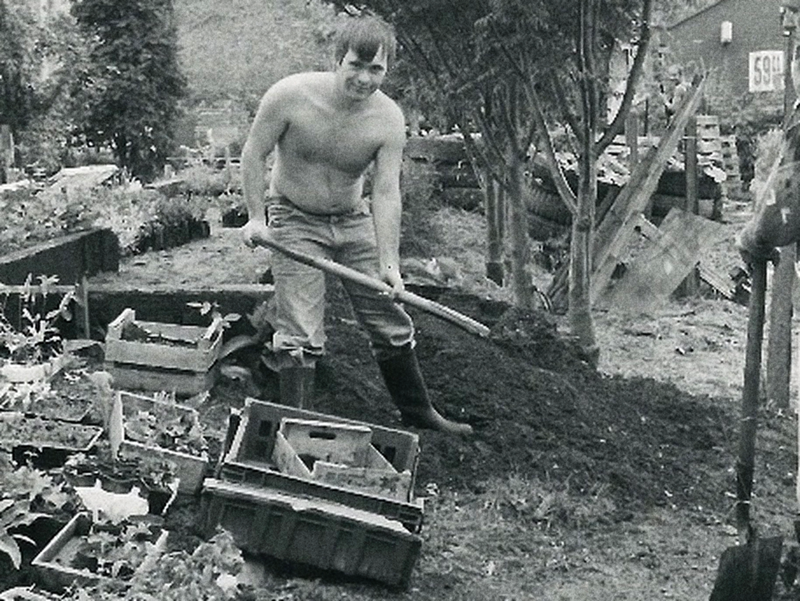 Supported programmes have been running since 1984 for people with mental health issues and learning difficulties, and for those in recovery since 2010. Working with local health care services and by providing a safe and supportive environment, the Farm is ideal for people in the community who are seeking rehabilitation and building of confidence. 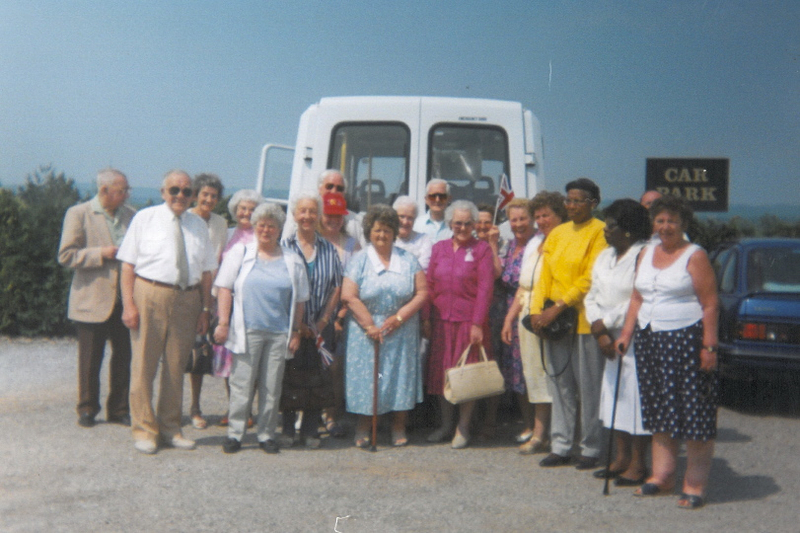 All our developments have helped address local issues of social exclusion and isolation. 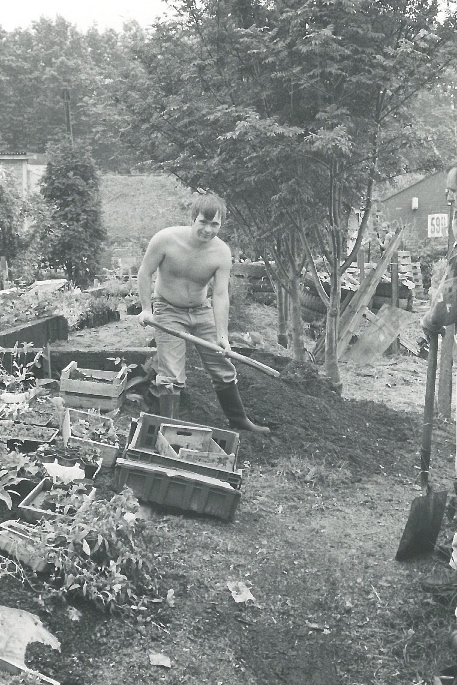 Our community care projects had their beginnings in 1981 when people with mental health needs first came to the Farm on a regular basis. They have always been an integral part of maintaining the Farm: working in the greenhouse to building new structures, caring for the animals and passing on skills to new volunteers. 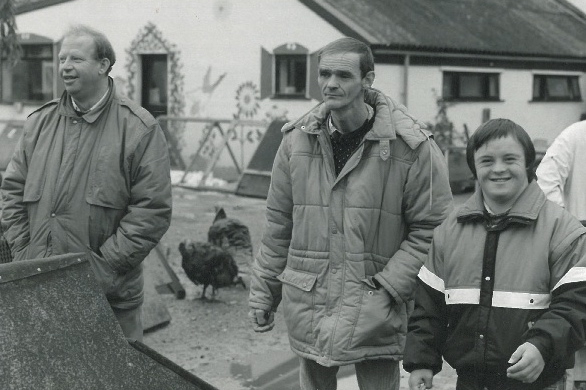 In 1995 the Farm started running training courses to enable volunteers and placements with learning difficulties to gain vocational certificates in animal care and horticulture. Horticultural training programmes and placements have therapeutic as well as educational benefits to people with mental health issues or recovering from drug dependence. 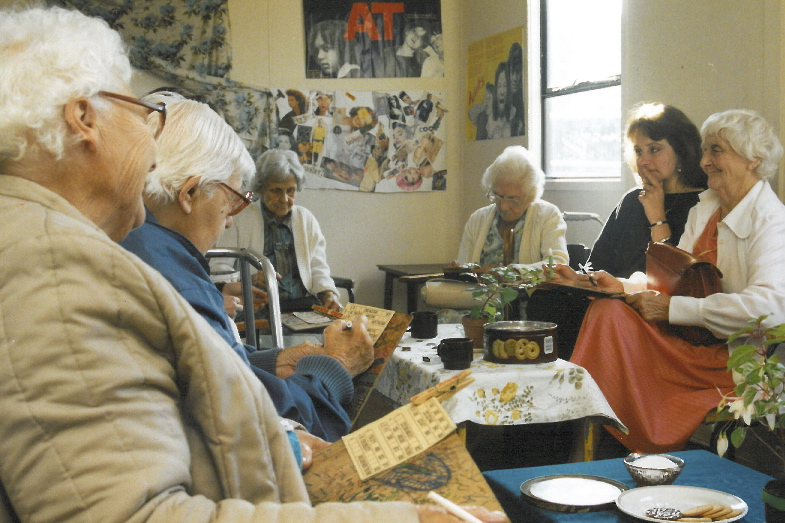 The older people’s group first came here in 1984 for social contact and stimulation. Members are collected from their homes providing a chance to get out and meet people. The group help plan their own programme of arts and crafts, speakers, fun and games and going on trips to places of interest. 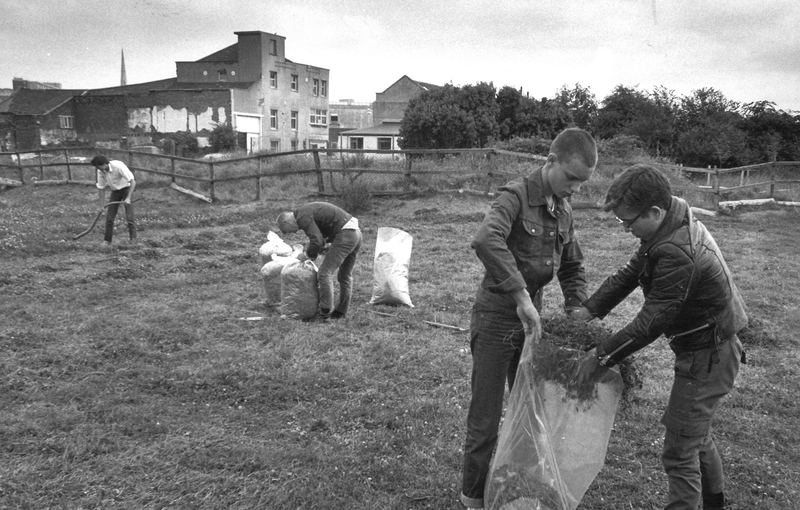 Native trees and shrubs were planted on the Farm’s boundaries in 1983 providing a nurturing environment and home for wildlife, while at the same time forming a barrier between the Farm and the surrounding industrial estate. 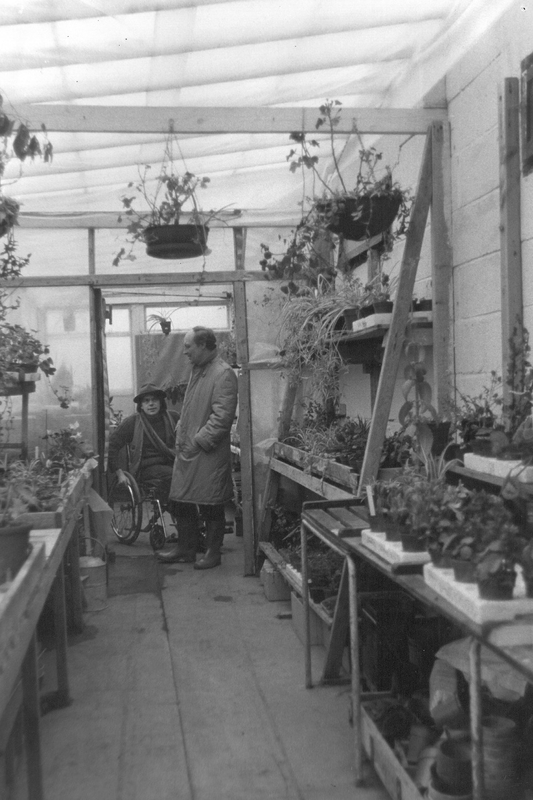 In 1988 a horticultural centre was opened with the building of our 20 metre long greenhouse, as well as a poly-tunnel and cold frames to grow plants and vegetables for sale and use on the site. This centre provided an educational facility for young people and families as well as volunteers and Youth Training Schemes. 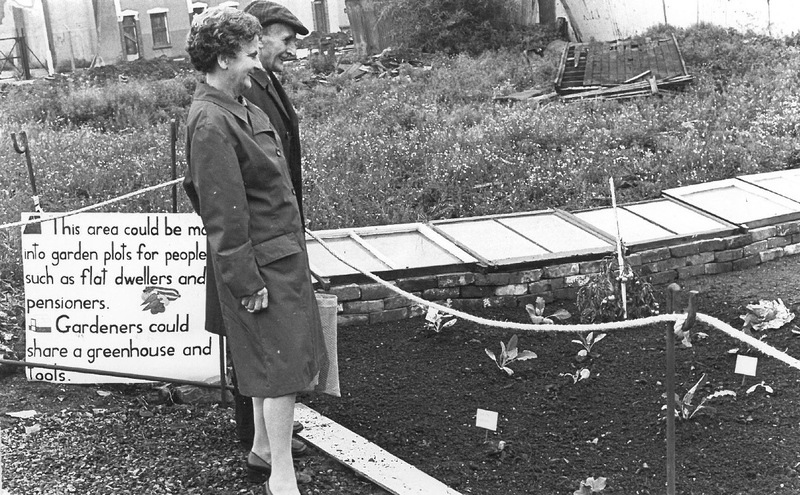 This provided formal and informal education in horticulture, organic and sustainable methods of cultivation as well as horticultural therapy. Thanks to the hard work of many volunteers and placements who have helped with planting, tidying, watering and weeding over the years, the Farm is an attractive and pleasant area to be enjoyed – an ‘oasis in a concrete desert’. 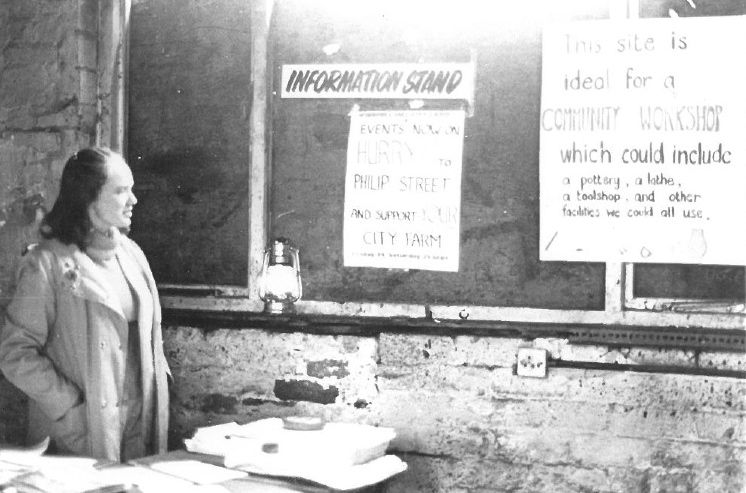 John James was a Bristol based philanthropist born at 96 Phillip Street, the main road in front of the Farm. 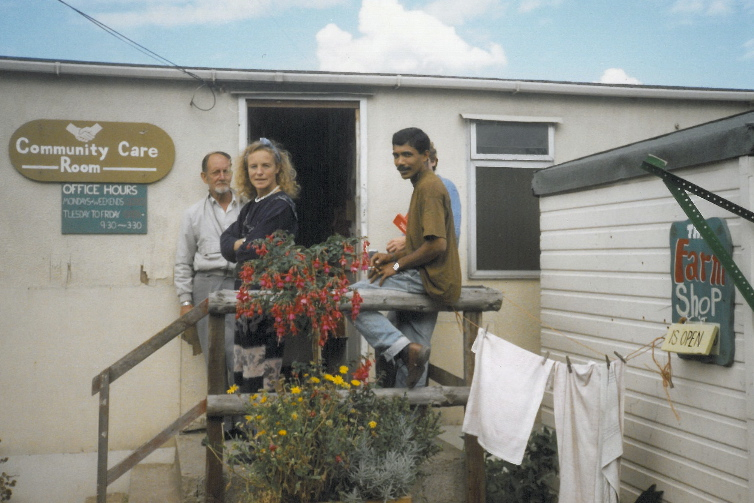 He was one of the Farm’s earliest supporters and generously agreed to donate £1000 each year towards the Farm’s development. 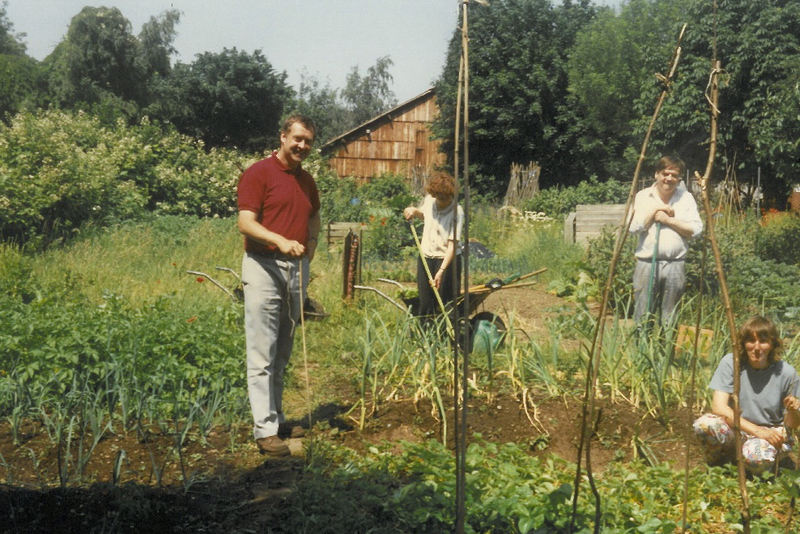 In return for his investment, John James asked for one thing: a cabbage grown on the Farm, roughly on the site of his childhood home. The John James room was opened in 1998 in recognition of his support. 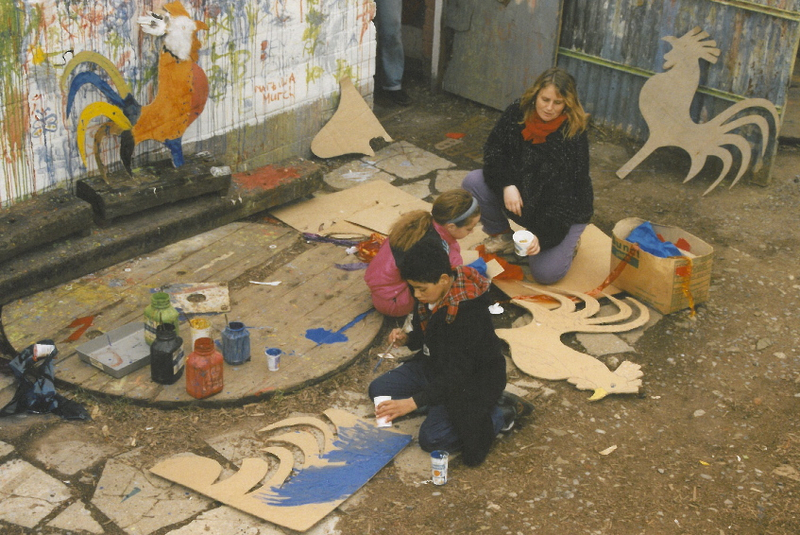 Ever since it started, the Farm has sought to be a community arts venue. We have encouraged self-expression and creativity providing many local people with their first experience of arts and crafts. 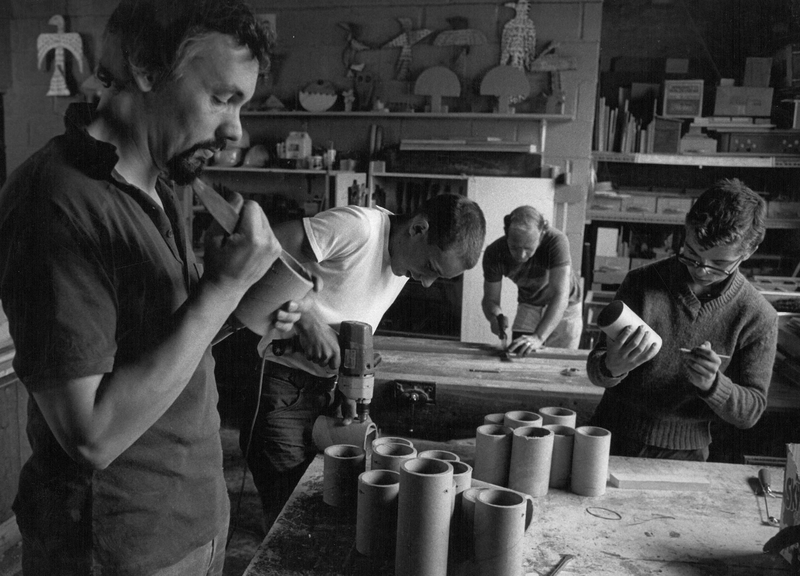 A community workshop opened in 1980 and classes for adults and young people were held covering a variety of crafts including woodwork, spinning and weaving, pottery, papier mache, batik, marbling, silk screen printing and mosaics. A darkroom and a computer room were also available for hire or workshops. 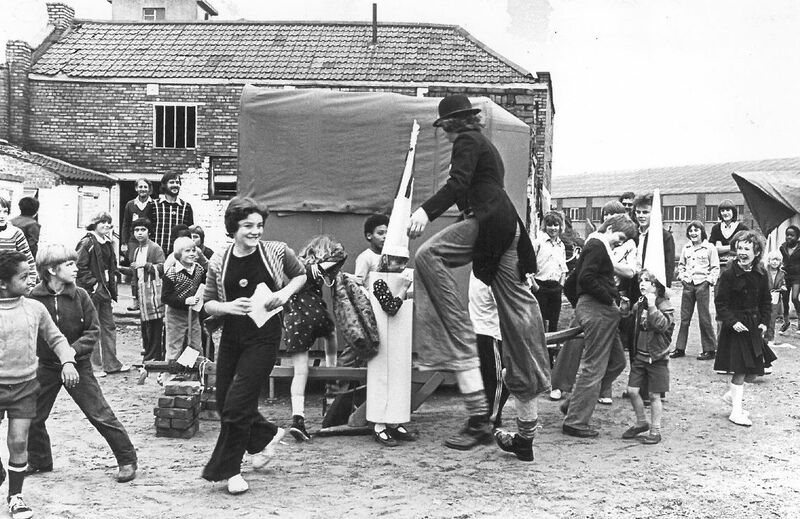 Creative arts activities have always been an essential part of all out work with children and young people including music, drama, crafts, circus skills, live theatre and over the years, people of all ages have put on their own shows, arranged barn dances and other musical events, run Arts Weeks and festival events and put on photographic exhibitions. 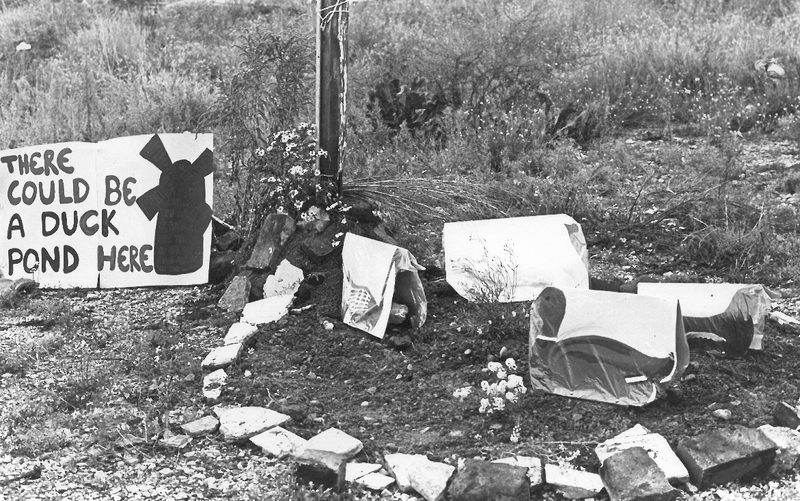 Others have enhanced the site with mosaics, wood and stone sculptures, murals and installations. 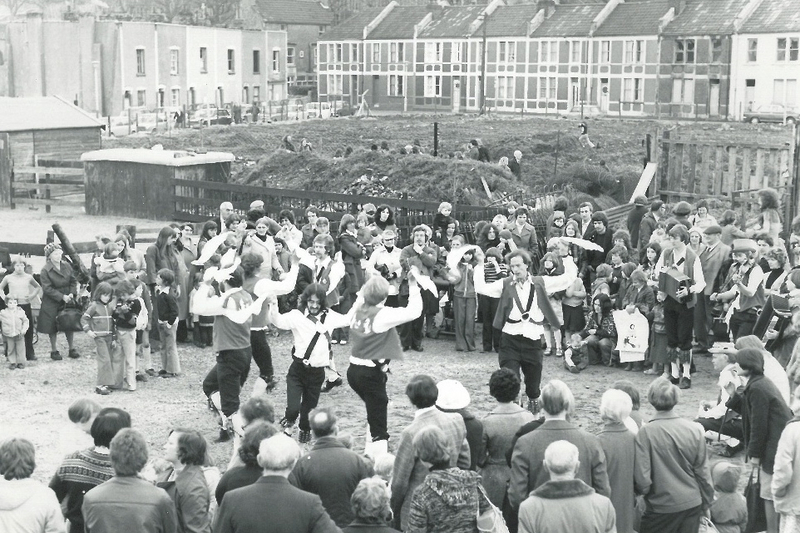 Festivals and anniversary celebrations have always been a way to bring the whole community together. 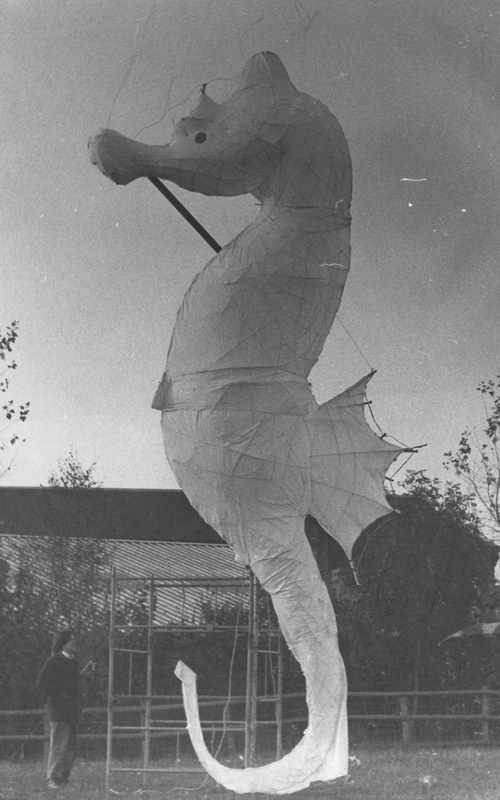 The Farm Tales Blog charts one of these community arts projects, a great read.